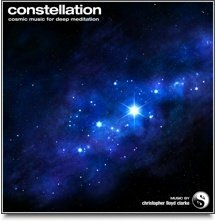 Cosmic meditation is a type of meditation that is designed to heighten and enhance your awareness of your connection to the universe. This type of meditation is often used to encourage spiritual awakening, but it is also wonderful for helping to heal feelings of isolation, stress or depression. How? By elevating your perspective on life to a higher level. At the completion of a cosmic meditation you will feel as though you have a "bigger picture" outlook. You realize that you are part of a vast universe and that your essential nature is, in truth, infinite. You are not just a bag of bones that’s dragging its weary feet through life; you are a spiritual being with the ability to rise above all of life’s problems. In the light of this realization, everyday concerns that might have been bogging you down begin to fade into the background and gradually disappear. There are plenty of instructions on the internet about how to do a cosmic meditation, but too often these instructions are very specific. In this article, we have intentionally kept the instructions nice and easy to follow. We don’t want you to feel constrained by the dictates of a highly structured technique. This should be fun and easy, and most of all it should give you the freedom to explore your inner space in whatever way comes naturally to you. 1) Begin by sitting it a comfortable position. Rest your hands loosely in your lap and close your eyes. If you intend to listen to some cosmic meditation music to enhance this meditation, make sure that you have your stereo or iPod set to a nice quiet volume. 2) Bring your awareness to your breathing. Take five or ten slow, deep breaths in through your nose and out through your mouth, all the while keeping your attention on the feeling of your breath moving in and out. As you do this, you should begin to feel a sensation of relaxation coming over you. 3) Now it’s time to begin using visualizations. Please don’t feel as though you need to strive for a perfectly clear picture in your mind as you begin the following visualizations. Simply feel or imagine them in whatever way is natural to you. Don’t try too hard, just relax and enjoy the ride. 4) Visualize a sphere of light surrounding your entire body. This light may be white or violet or perhaps even golden. Whatever comes to your mind, it should feel peaceful and safe to you. This light begins to glow more and more brightly and as it does so, visualize yourself gradually rising up into the sky. 5) Allow yourself to journey through the clouds and out into space at whatever pace suits you. Sometimes this might only take a few seconds, sometimes it might take many minutes. Keep rising until you can see all of planet earth below you. Look back on the planet and bask in the sensation of calmness and freedom. Take as long as you wish to enjoy the sensation of quiet. 6) Now you are ready to journey deeper into this cosmic meditation. You are surrounded by an infinite number of celestial bodies – stars and planets stretch out before you for billions of light years in all directions. In this cosmic meditation you have the freedom to journey to any place in the universe that calls to you. Follow your intuition and let your imagination guide you. You may choose to spend the remainder of your meditation enjoying the sensation of being surrounded by light while you look down on the planet below, or you can choose to move about the universe to any place you choose. This is your great gift, and this is your spiritual right – the right to absolute freedom. Infinity lies before you. All of time and space, all knowledge, all love, all of creation – it is all available to you now. 7) Spend as much time in this space as you like, and when you are ready to return to your normal waking life, bring your awareness back to your breathing. Take five or ten slow, deep breaths in through your nose and out through your mouth, and as you do so, wriggle your toes a little and stretch your fingers. 8) Before you get up, take a few minutes to lie down and rest. This cosmic meditation can be deceptively powerful – you might not realize how much so until you try to stand up, at which time you may find yourself feeling a little light headed. Give your body and mind a few minutes to adjust before you go about your day. 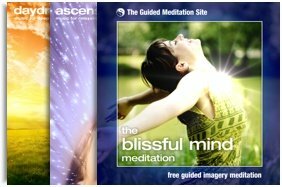 This type of meditation can be dramatically enhanced through the use of cosmic meditation music – a specialized form of music that is designed to enhance meditation and encourage spiritual awakening.